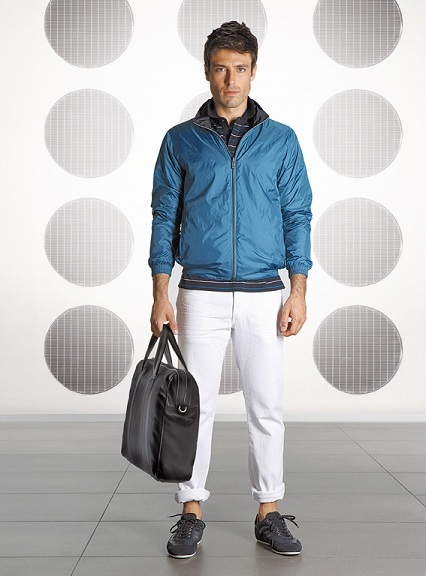 Zegna Sport SS2013 collection are designed for performance-driven urban sportswear, featuring an array of technical fabrics and finishes that is inspired by a contemporary juxtaposition of outdoor extremes - from yachting on the open seas to exotic desert adventures. The lines are sleek and decisive, the colour palette impressive with its sharp nautical colours and bold monochromatic tones enhanced by fluorescent details to natural shades of beige, khaki and grey. 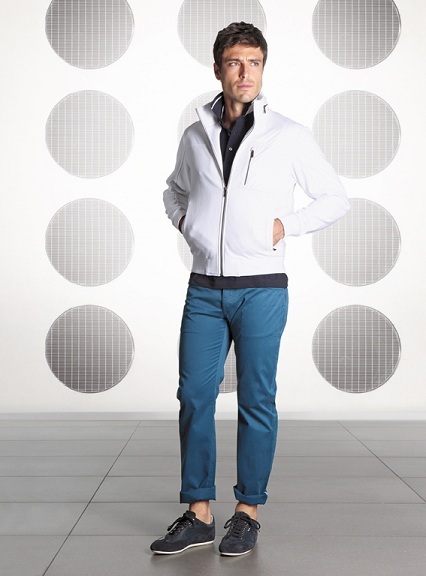 The result is a complete collection of urban sportswear that fits the dynamic lifestyle of modern Zegna man; a sophisticated and elegant man with a metropolitan style perfect for work and leisure activities. 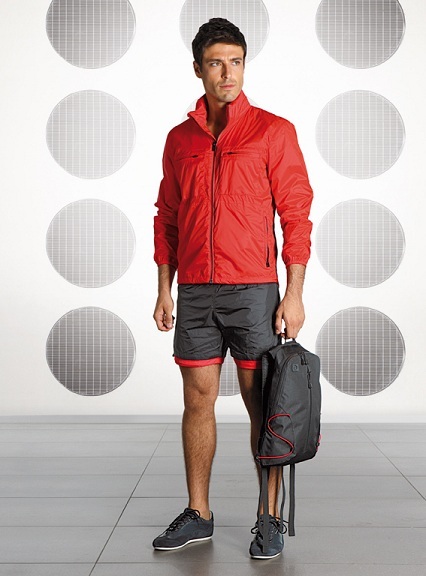 The entire collection is based on an deep research of materials and technical performance: from “cooltouch” cotton and Tencel jersey with UV protective treatment to high-tech micro nylon outerwear with fully tapered seams for advanced waterproof performance, from lightweight waterproof nylon ripstop leisurewear with convenient fold-away pouches to high-performance “ice cotton” jersey. The <Metropolitan Marina> is a complete wardrobe of essential coordinates that transform in a metropolitan context an aesthetic typically associated with the open seas. 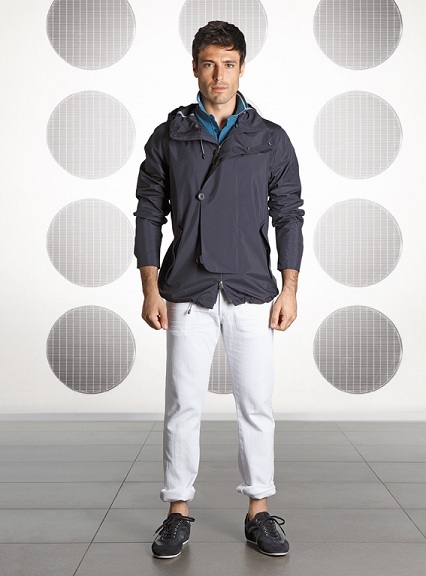 Yachting inspired outerwear silhouettes are marked by sharp, clean lines and technological details. The rich collection of knitwear separates, compact cotton “selvedge” chinos, outwear and accessories, in strong colours such as deep navy, crisp white, octane, delivers sophisticated elegance within a high-impact metropolitan yet nautical look. 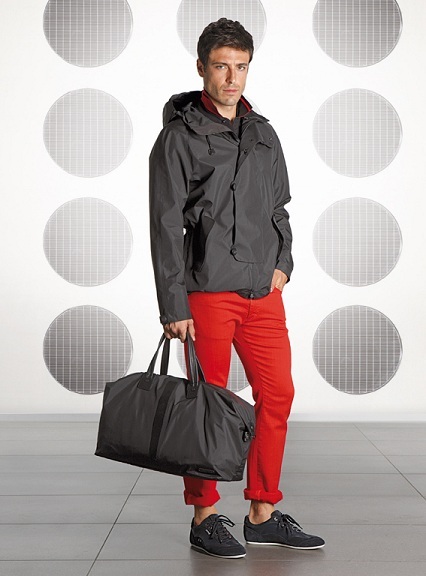 Performance outerwear, whether the waterproof Ocean Micro Parka constructed from high performance 3-layer micro fiber with laser finishing on the pockets and a hidden “smart phone” pocket or the two-tone reversible ultra-light nylon shell, lends a technological edge to city wears or high-sea excursions. The <Monochrome Fluo>reaches new stylistic heights with its black and white separates accented with details in fluorescent red and yellow. Featuring high rise camouflage and x-ray photographic prints on lightweight rainproof jackets and t-shirts, inspired by metropolitan architectural imagery, the collection recalls the world of high-end sports cars whose ergonomic lines and advanced components are enhanced by precision craftsmanship and technological designs. The collection includes black, white and steel grey outerwear and knitwear with vivid fluo accents on the otherwise monochromatic pieces, as well as super-soft stretch selvedge denim and “cooldry” performance pants. Ergonomic leather jackets with perforated details and 3-D mesh inserts are highly resilient and extremely soft to the touch. 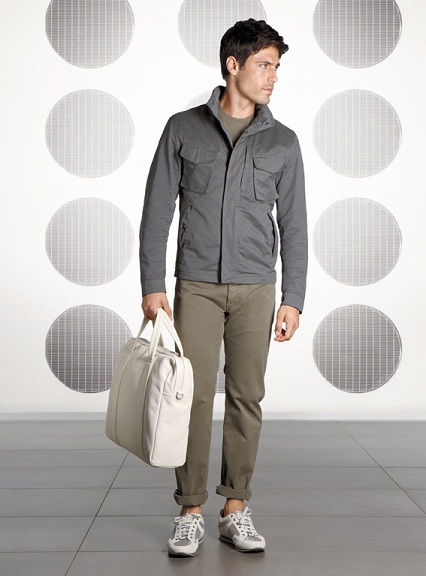 A key leather piece is the silicon touch nappa jacket with perforated back panel finished with nylon detailing. Matching shoes and accessories developed using laser cut technology on high performance technical material, once again with vibrant florescent color accents complete the bold look of Zegna Sport’s Monochrome Fluo series. The <Dune Drive> inspired by high-adrenalin desert sports, features knitwear and separates in a blend of cotton and nylon microfiber with innovative carbon treatment to ensure high-tech performance with a naturally soft feel. 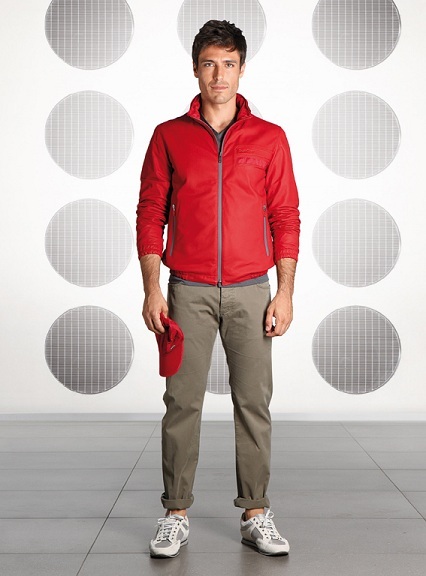 The fitted 3-in-1 deep sand colour “Jeep” jacket, an integral part of the Dune Drive Collection, is the perfect balance between function and informality with its clean lines and multi-functional pocketed detachable inner vest. The natural color palette is enhanced by vibrant red knitwear and trousers to create a look that recalls the natural magnificence of the windswept desert dunes. The new Zegna Sport collection underscores the balanced and sophisticated aesthetic of streamlined designs and advanced craftsmanship. The entire collection emphasizes maximum form and functionality designed to keep the wearer cool and comfortable in any occasion.